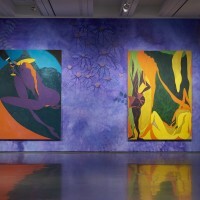 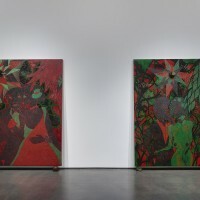 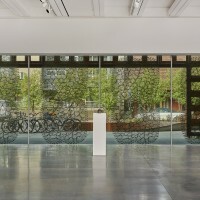 The Aspen Art Museum (AAM) presented Chris Ofili: Night and Day, the Turner Prize–winning British artist’s first solo museum survey. 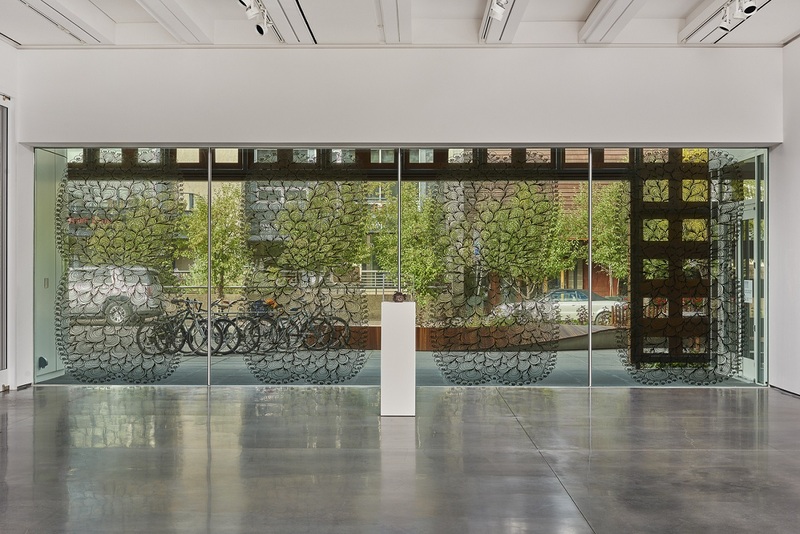 Encompassing five galleries and all three floors of the AAM, Night and Day features over thirty major paintings and a vast number of drawings, as well as sculptures spanning Ofili’s influential career from 1992 to the present. 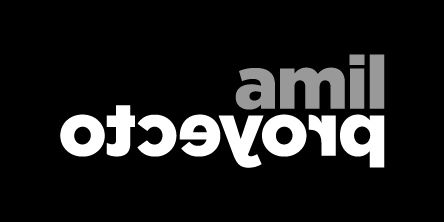 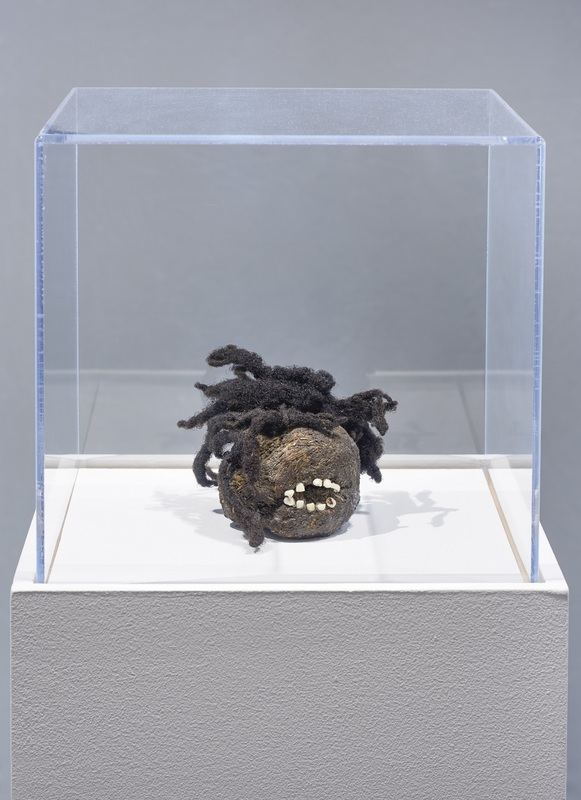 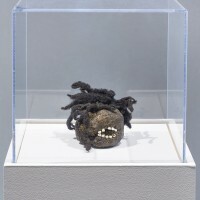 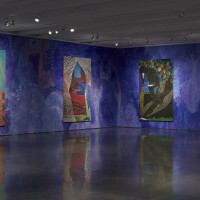 The AAM exhibition also includes four additional, new works created since the show’s initial presentation at the New Museum, New York (October 29, 2014–February 1, 2015). 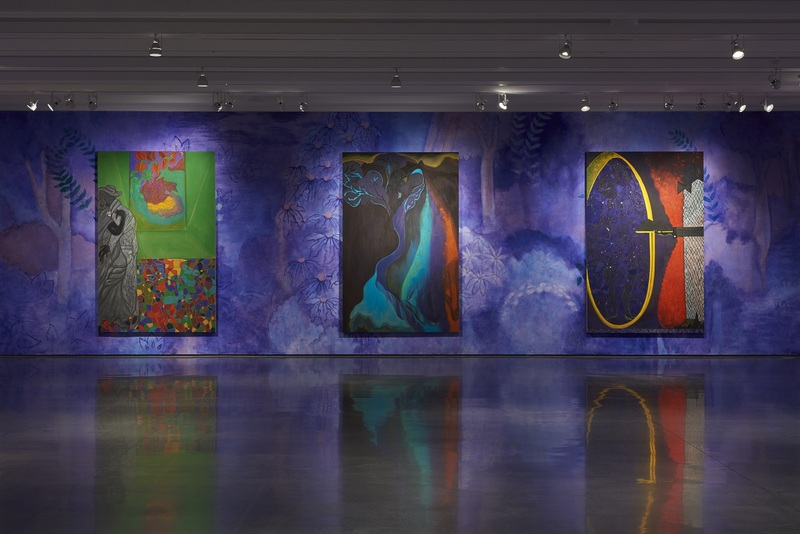 Chris Ofili: Night and Day opened at the AAM with a reception with the artist on July 16, and was on view through October 18, 2015. 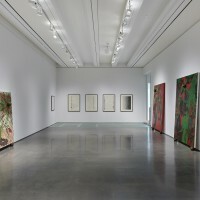 The exhibition was curated at the New Museum by Massimiliano Gioni, Artistic Director; Gary Carrion-Murayari, Kraus Family Curator; and Margot Norton, Associate Curator. 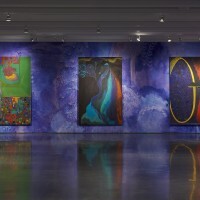 It is overseen at the AAM by Heidi Zuckerman, Nancy and Bob Magoon CEO and Director. 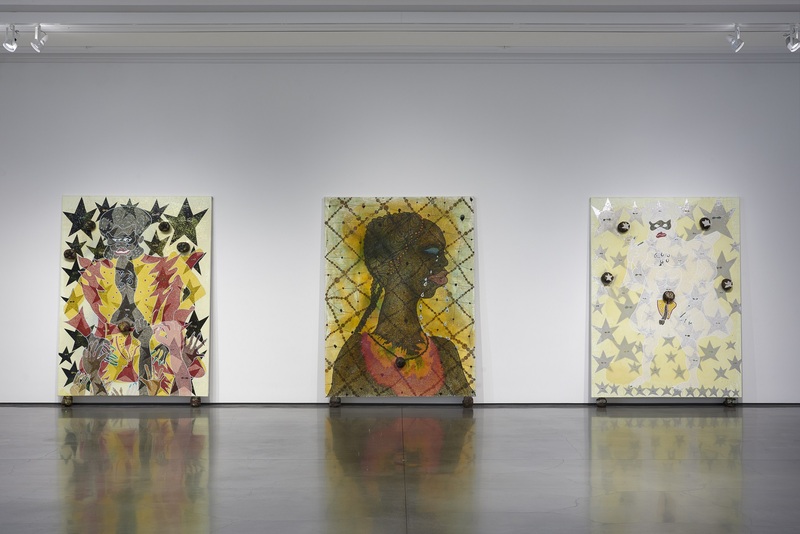 Over the past two decades, Ofili’s practice has undergone constant changes and become identified with vibrant, meticulously executed artworks that meld figuration, abstraction, and decoration. 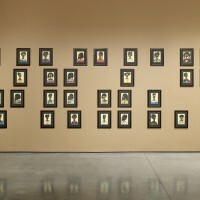 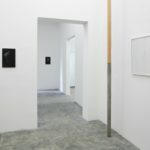 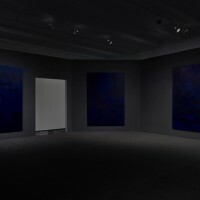 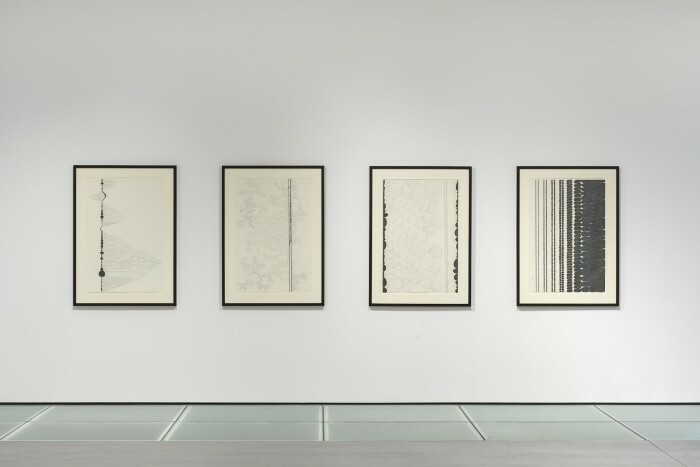 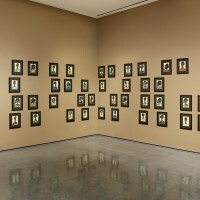 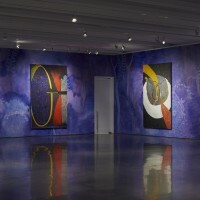 As the title Night and Day suggests, the exhibition explores the artist’s interest in juxtapositions of all kinds—including philosophical notions of the sacred and the profane, and the investigation of the power of images and their ability to address fundamental questions of representation. 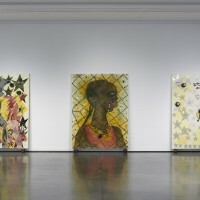 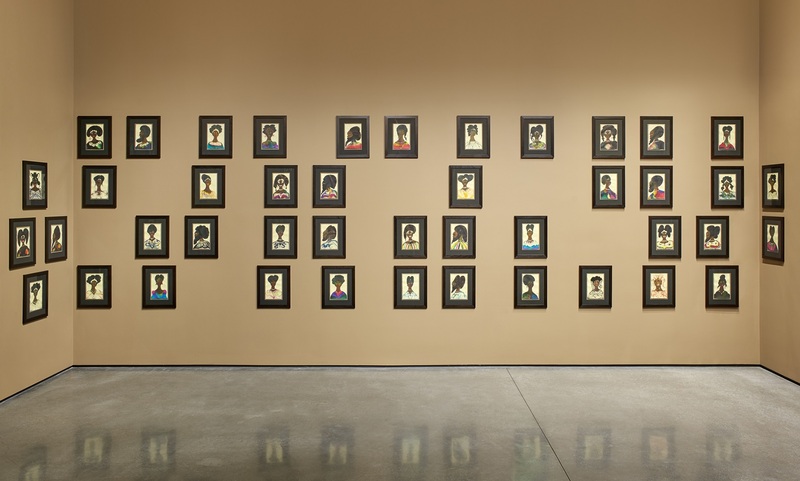 It features Ofili’s early, expressive, iconic portraits referencing black identity, including such works as No Woman, No Cry (1998)—a timely piece that addresses pressing issues of race relations in Britain, first exhibited in Ofili’s 1998 Turner Prize exhibition. 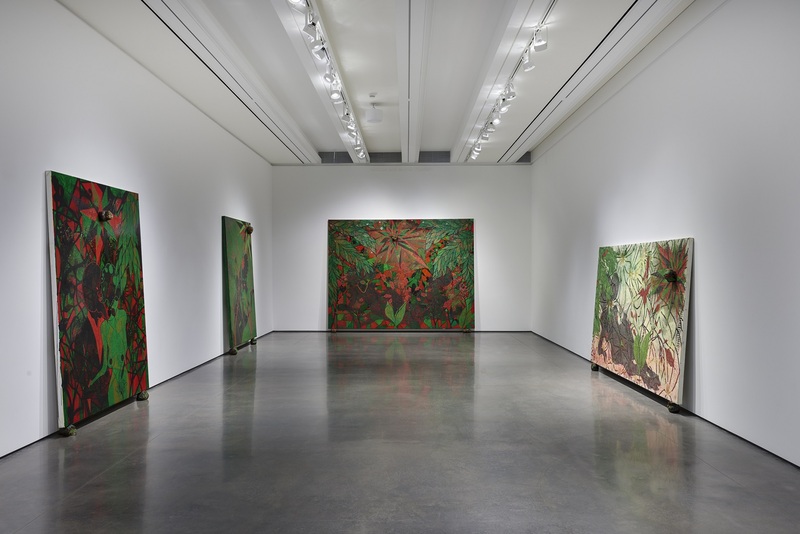 In addition, the exhibition includes newer paintings created in Port of Spain, Trinidad, where the artist has lived for the past decade. 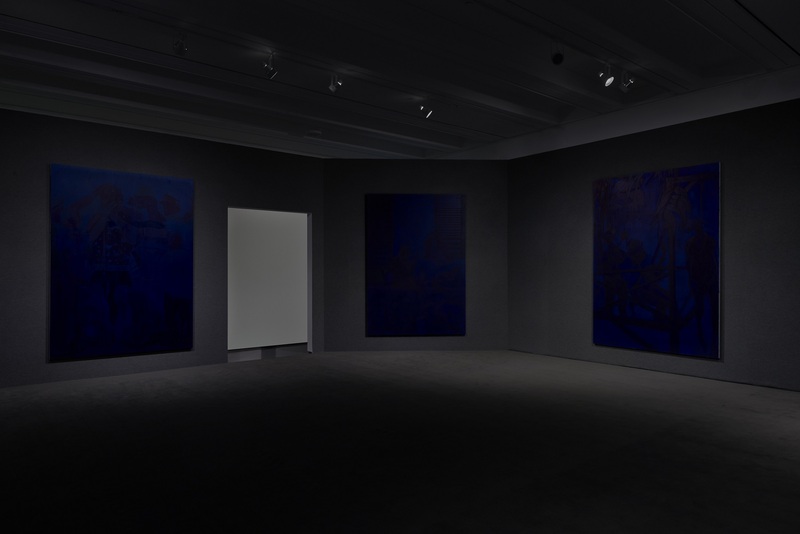 The landscape of his adopted home is recalled in Gallery 5 where a background scenic painting, sourced from the 1947 film Black Narcissus, immerses viewers in a lush setting. 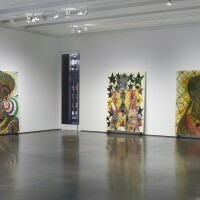 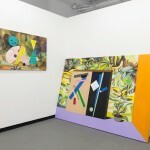 As with this film reference, the diversity of materials within his large-scale paintings is as seemingly distinct and disparate as the sources of his inspiration—which ranges from cave paintings and the works of William Blake, to 1990s hip-hop culture, the Bible, and Blaxploitation films. 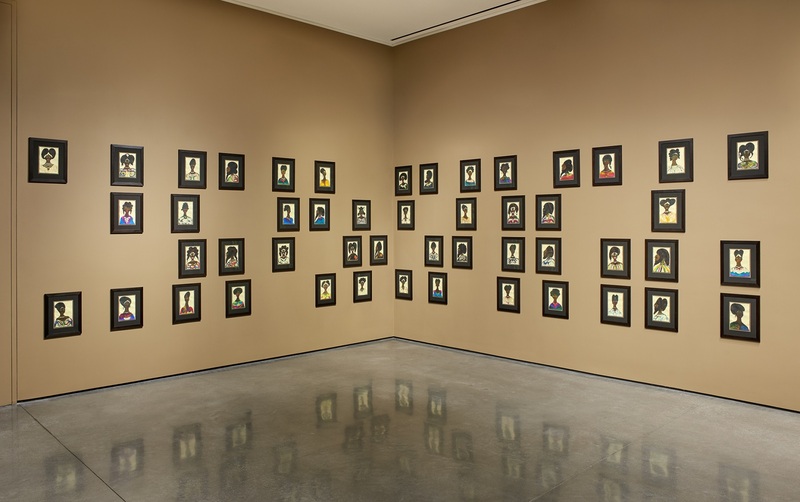 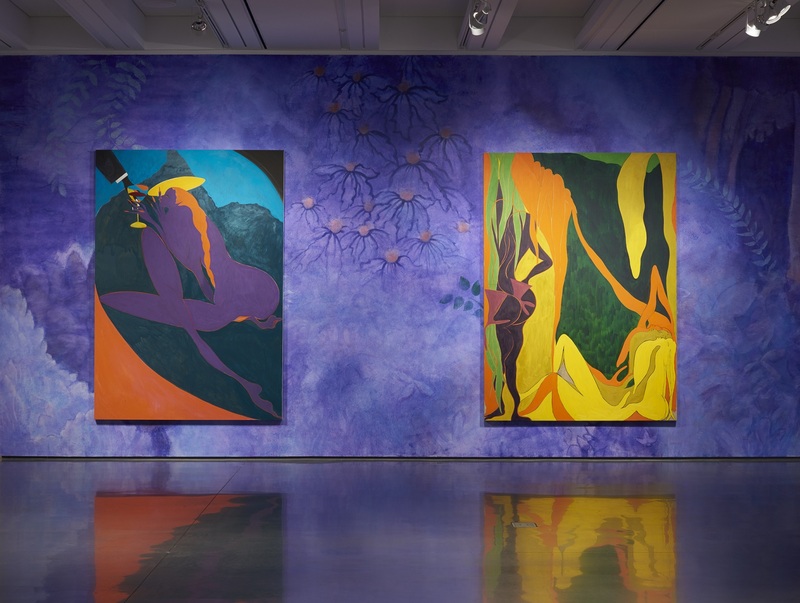 (1) Installation view: Chris Ofili: Night and Day, Aspen Art Museum, 2015. 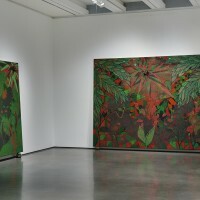 From left: Afro Margin Two, 2004; Afro Margin Three, 2004; Afro Margin Five, 2005; Afro Margin Eight, 2007. 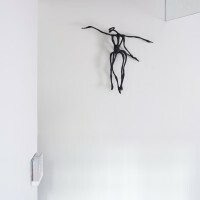 Photo: Tony Prikryl. 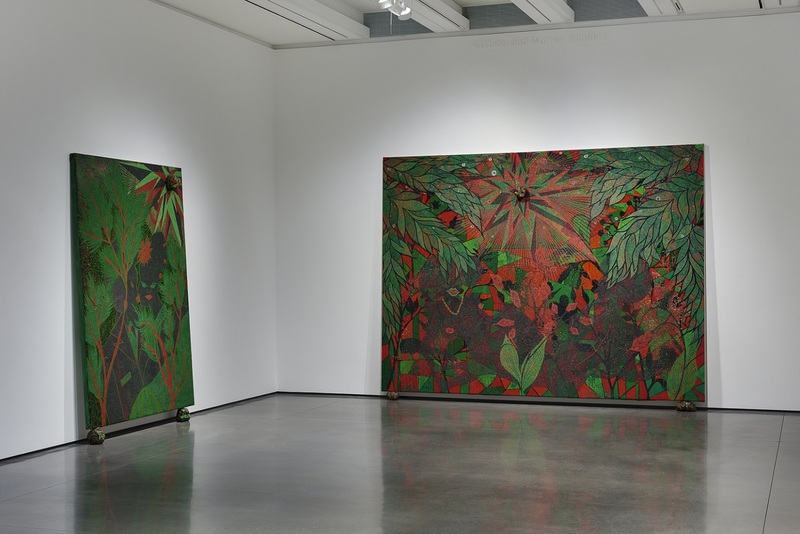 All works © Chris Ofili. 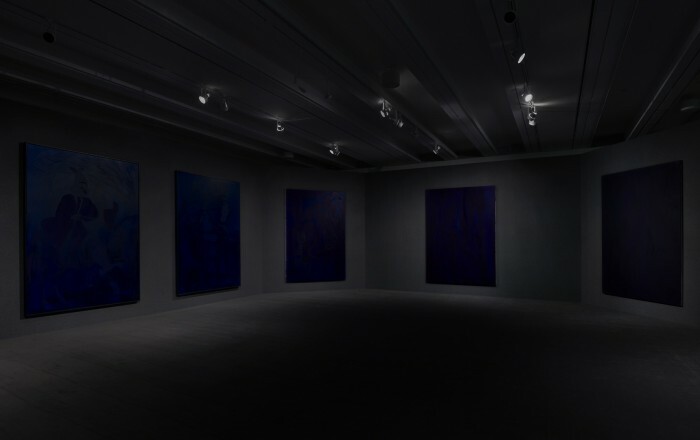 Courtesy the artist, David Zwirner, New York/London and Victoria Miro, London. 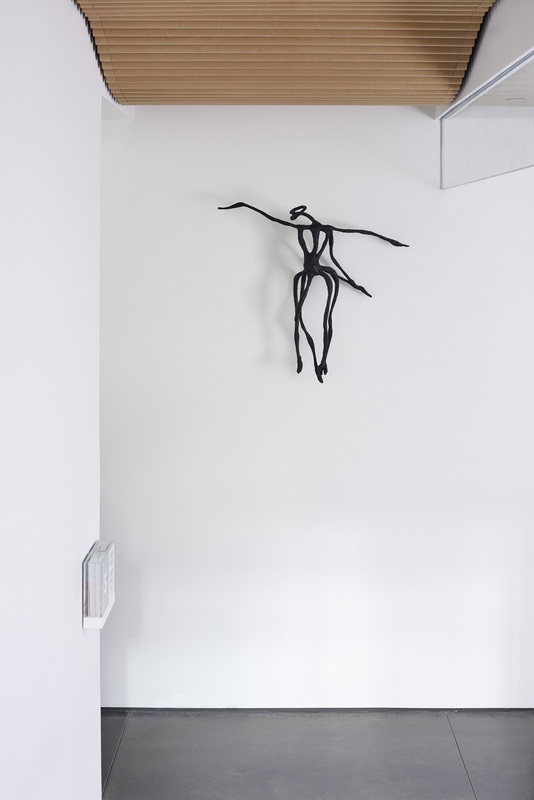 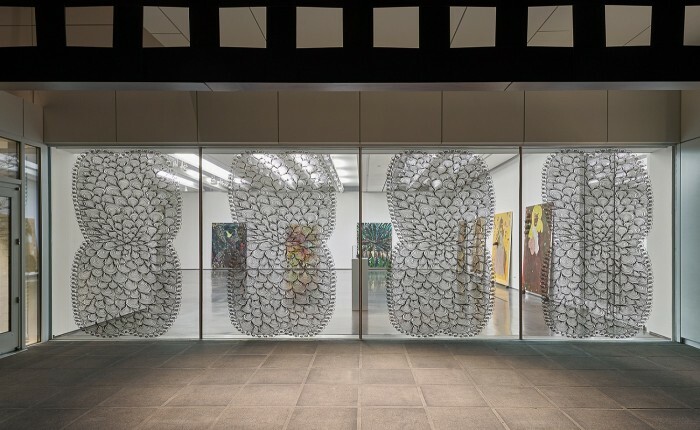 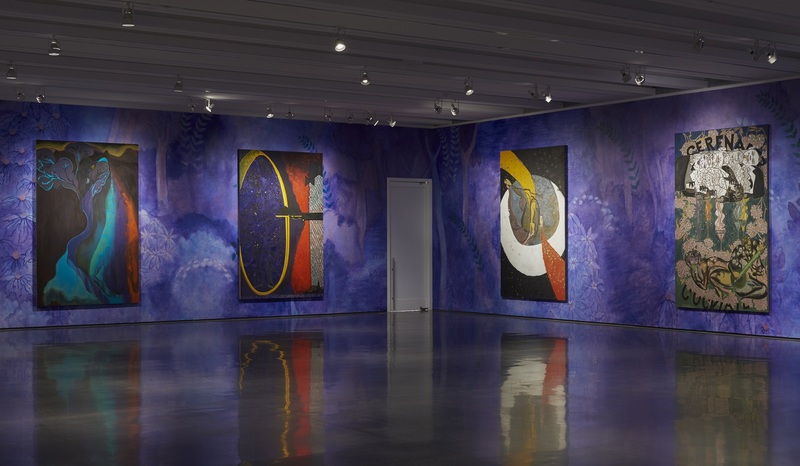 (2) Installation view: Chris Ofili: Night and Day, Aspen Art Museum, 2015. 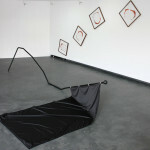 Photo: Tony Prikryl. 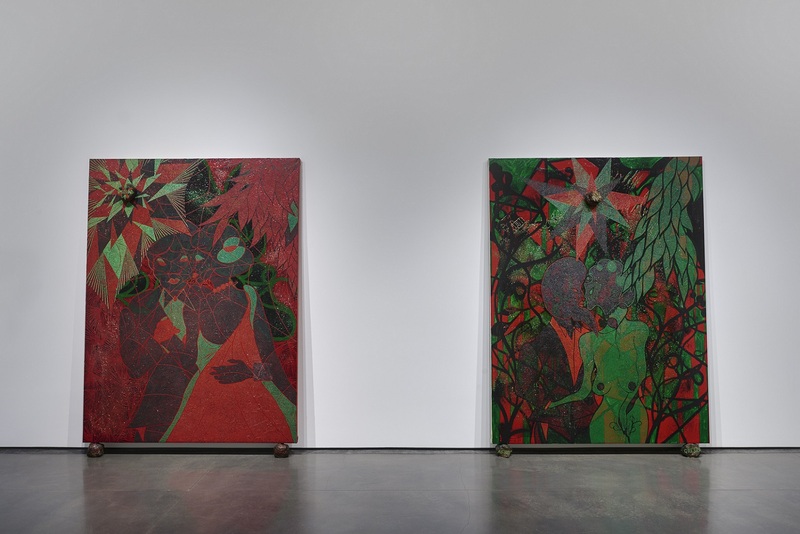 All works © Chris Ofili. 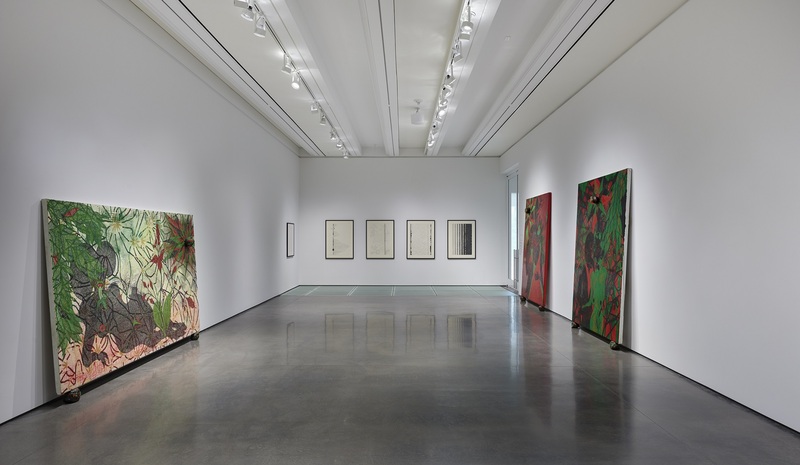 Courtesy the artist, David Zwirner, New York/London and Victoria Miro, London. 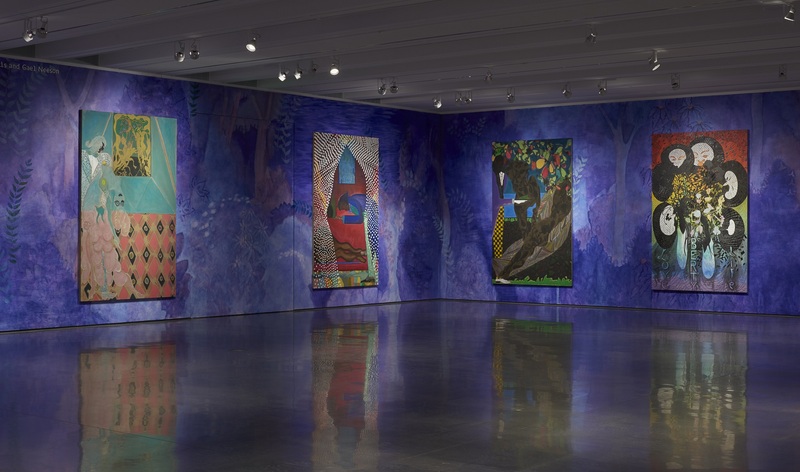 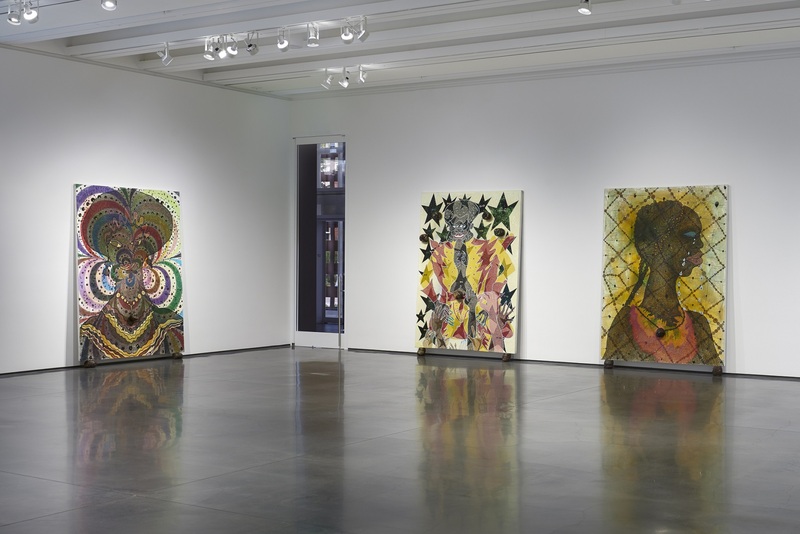 (3) Installation view: Chris Ofili: Night and Day, Aspen Art Museum, 2015. 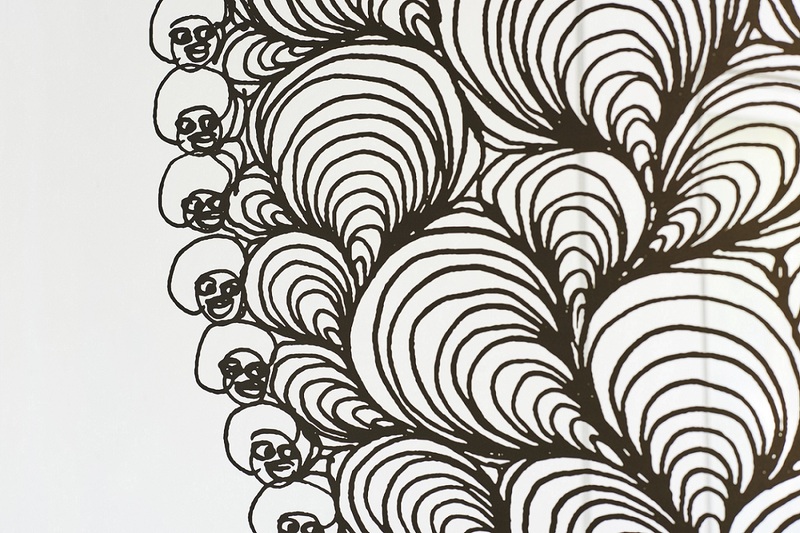 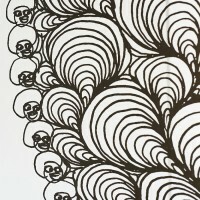 Afro Waves, 2003-2003. 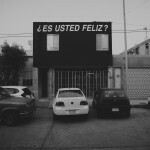 Photo: Tony Prikryl. 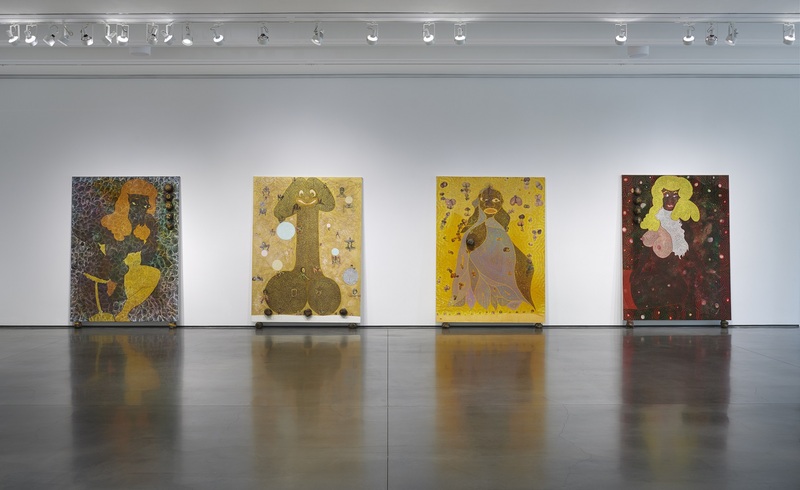 All works © Chris Ofili. 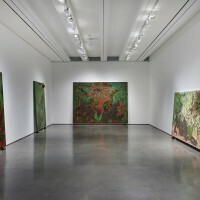 Courtesy the artist, David Zwirner, New York/London and Victoria Miro, London.